Comparing quotes for international household storage and moving services is simple! Complete the request form and receive custom quotes for international moving destinations. International movers have experience with moves to destinations anywhere and everywhere. You can reduce your stress levels by having international movers manage the logistics of your move. A convenient way to compare international moving services from home. International moving and household storage go hand in hand. There are a myriad of reasons as to why outsourcing your storage for a short term or long term period can be beneficial. Moving your home or your business is always a juggling act, and timing is of the essence. Sometimes, there is no easy way to coordinate everything because you have restrictions from other parties, whereby you have no control over the situation. Doing this locally presents its own challenges, but doing this internationally can be even more of a challenge. International moving companies can assist with a number of value added services as part of your move. 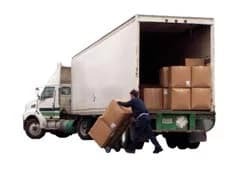 In addition to the handling of heavy and clumsy items, moving, shifting and packing, they often have temporary storage options and/or contacts or partnerships with other companies that can help you in this area. It may be that your settlement date was delayed, or the date of your contact was pushed out. If your premises are being renovated, it can also be handy to make use of third party storage options for your household goods, rather than having them in the way of tradesman and others. Flexibility is the key, and having household storage services available can often offer you that little extra breathing space that you need whilst you arrange other things in the background. Some of the important considerations for household storage include safety and security. Most companies will advise you of the features of their facility, which often include fire alarms and other safety control mechanisms as well as entry and access controls such as special key or keypad access, video camera controls and other forms of surveillance. Whether your household goods need storage services as a temporary or long term solution to your international move, the international moving companies are a good resource to help you with your needs. There can be no doubt that being prepared is key to a successful move. That is why hiring the services of a reliable and reputable international moving company is an important decision when coordinating your move. The partners of Intlmovers that you see here have many years of trusted experience with packing, moving, logistics and other related areas such as household storage services. You can find out more about the types of services and prices that are available to you from international moving companies when you request a quote with Intlmovers. As their quotes are customized specifically for your moving needs, you can be sure you’ll find the right company with the right offer that matches your requirements. All quotes are provided to you completely obligation free so it is completely up to you if you choose to accept a quote or not.